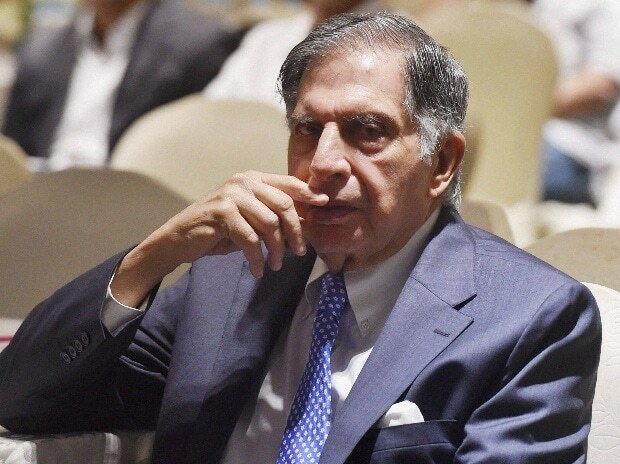 The Bombay High Court on Wednesday refused to stay proceedings before a magistrate court in a 2016 criminal defamation case filed by Nusli Wadia against Ratan Tata and some other directors of Tata Sons. A single bench presided over by Justice Mridula Bhatkar refused to extend her March 18 order whereby she had restrained the magistrate court from hearing the case until Wednesday (March 27). The court was hearing a writ petition filed by Tata and the other directors seeking that the complaint, FIR and the charge sheet filed against them in the case be quashed. While senior advocate Abhishek Manu Singhvi, who represents Tata in the case, sought an extension of such stay, Justice Bhatkar pointed out that the next hearing before the magistrate court was in July this year. She said the HC will hear the matter before July and, therefore, the stay was not necessary. In December 2018, a magistrate court in the city had issued notices to Ratan Tata and other directors of Tata Sons in the criminal defamation case filed by Wadia. Wadia had filed the case in 2016 after he was voted out of the boards of some Tata Group companies. Wadia had claimed that Tata and others had made defamatory statements against him after they removed Cyrus Mistry on October 24, 2016 as the group chairman of Tata Sons. Wadia was on the boards as an independent director of group companies like the Indian Hotels Company that runs the Taj group of hotels, TCS, Tata Motors and Tata Steel among others. He was voted out by shareholders at a specially convened general meeting between December 2016 and February 2017. He said he approached the magistrate court as he was not satisfied with the explanation the respondents (Tata and others) had given him following his letters to them. Wadia, therefore, initiated defamation proceedings against the respondents under section 500 of the Indian Penal Code. Tata and the other directors facing the proceedings, however, approached the HC earlier this month with the plea for quashing. While the case had been scheduled for a detailed hearing in the HC Wednesday, it was adjourned to April 18 following a conflict over the court's roster. Wadia's counsel Abad Ponda argued that as per the current roster of Bombay HC, the case should be heard by a division bench and not a single judge. The HC has now directed the registry to sort out the issue of the roster and post the matter for further hearing before the appropriate bench. Justice Bhatkar also said the HC registry had brought to the court's notice that the Code of Criminal Procedure (CrPC) required the parties in cases such as the above to remain present in court for hearings. Therefore, unless an exemption was granted by the court, Tata and the other directors of Tata Sons facing the above proceedings will need to remain present in the court. The judge, however, said the parties could be granted an exemption from remaining present only under special circumstances, say if one was facing ill-health, or happened to be out of the country at the time of the hearing. Such exemption can be availed of by making an appropriate application before the court.